The bestselling coming-of-age classic, acclaimed by critics, beloved by readers of all ages, taught in schools and universities alike, and translated around the world from the winner of the 2018 PEN/Nabokov Award for Achievement in International Literature. The House on Mango Street is the remarkable story of Esperanza Cordero, a young Latina girl growing up in Chicago, inventing for herself who and what she will become. 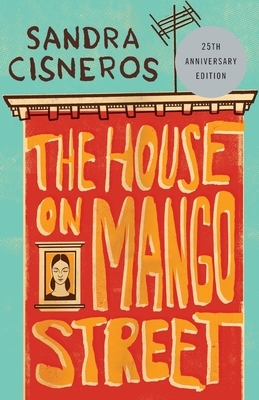 Told in a series of vignettes-sometimes heartbreaking, sometimes deeply joyous-Sandra Cisneros' masterpiece is a classic story of childhood and self-discovery. Few other books in our time have touched so many readers. Sandra Cisneros is a poet, short story writer, novelist and essayist whose work explores the lives of the working-class. Her numerous awards include NEA fellowships in both poetry and fiction, the Texas Medal of the Arts, a MacArthur Fellowship, several honorary doctorates and national and international book awards, including Chicago’s Fifth Star Award, the PEN Center USA Literary Award, and the National Medal of the Arts awarded to her by President Obama in 2016. Most recently, she received the Ford Foundation’s Art of Change Fellowship, was recognized among The Frederick Douglass 200, and was awarded the PEN/Nabokov Award for Achievement in International Literature. Her classic, coming-of-age novel, The House on Mango Street, has sold over six million copies, has been translated into over twenty languages, and is required reading in elementary, high school, and universities across the nation. In addition to her writing, Cisneros has fostered the careers of many aspiring and emerging writers through two non-profits she founded: the Macondo Foundation and the Alfredo Cisneros del Moral Foundation. She is also the organizer of Los MacArturos, Latino MacArthur fellows who are community activists. Her literary papers are preserved in Texas at the Wittliff Collections at Texas State University. Sandra Cisneros is a dual citizen of the United States and Mexico and earns her living by her pen. She currently lives in San Miguel de Allende.